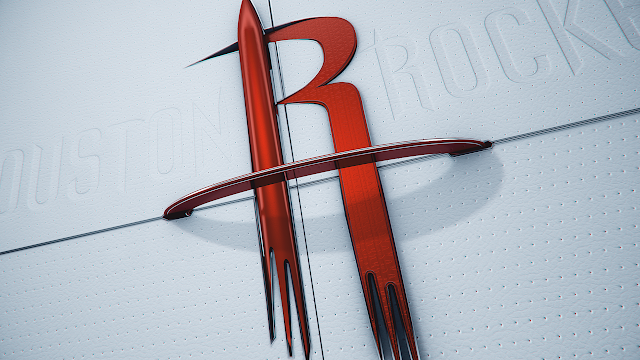 With a new rebrand package for NBA coverage on ESPN, design and content studio Big Block continues its enduring and strong creative tradition with the network. Big Block collaborated closely with ESPN to design a bold new look, bringing a premium polish to the coverage of the dynamic, emotional and increasingly style-conscious world of the NBA. With nearly a year of design development and exploration, the studio’s role expanded well beyond a simple production partner, led by Big Block’s Executive Creative Director Curtis Doss and Managing Director Kenny Solomon. The result is a package providing a rich palette of detailed texture and fluid elegance, reflecting the swagger and style that has become defining elements of the modern NBA. Additionally, Big Block embedded visual touchstones to put the spotlight on the stars of the show: the NBA players, NBA teams and the redesigned NBA and ESPN co-branded logo. 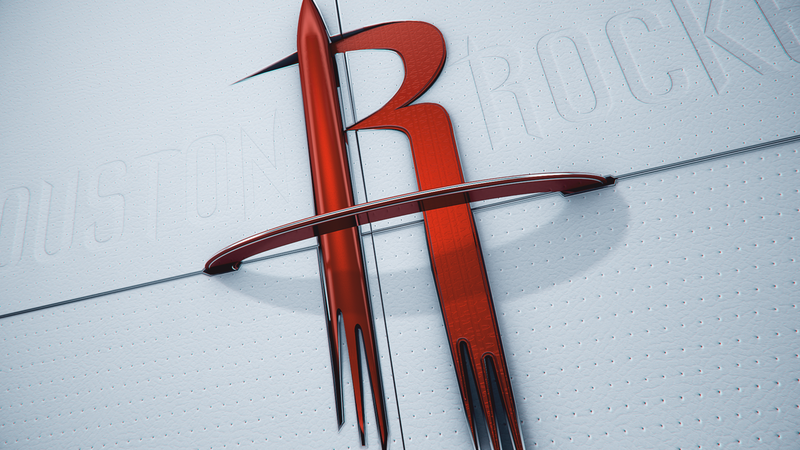 Big Block and ESPN’s creative teams collaborated closely to hone in the logos. 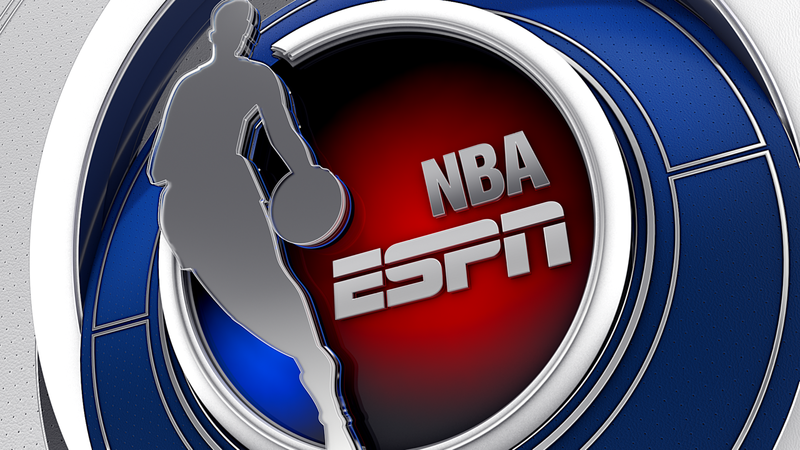 The NBA logo was reconfigured and simplified, allowing it to merge perfectly with ESPN’s and support the iconic silhouette of legend Jerry West as the centerpiece of the new creation. The result is a seamless blend of both icons and the genesis of a new logo. 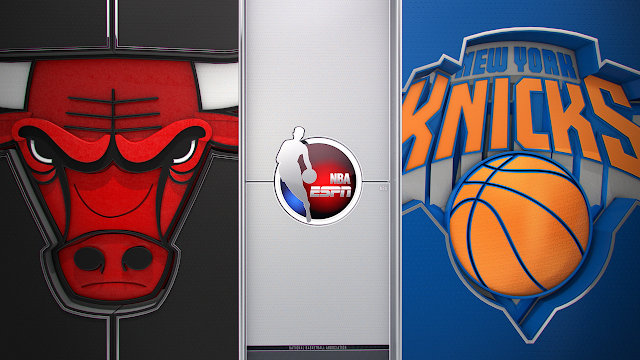 The team next conquered the challenge of taking the unique branding and colors of each NBA team and using them as focal points within the broadcasts. Team logos were assembled, rendered and visually elevated with embossed textures and brought to life with kinetic action, infusing the broadcast with a high-end, handcrafted aesthetic matching the face of the league itself. Big Block provided ESPN with a complete toolkit for the integration of live game footage with team logos, supers, buttons and transitions, as well as team & player-based information like player comparisons and starting lineups. 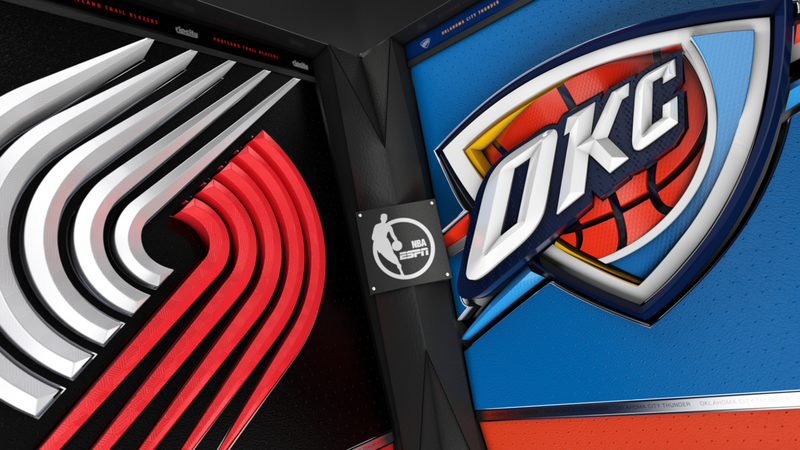 The materials were designed to be visually cohesive between ESPN’s pre-show, game and post-show broadcasts, with Big Block crafting high-end solutions to keep the sophisticated look and feel consistent across the board. 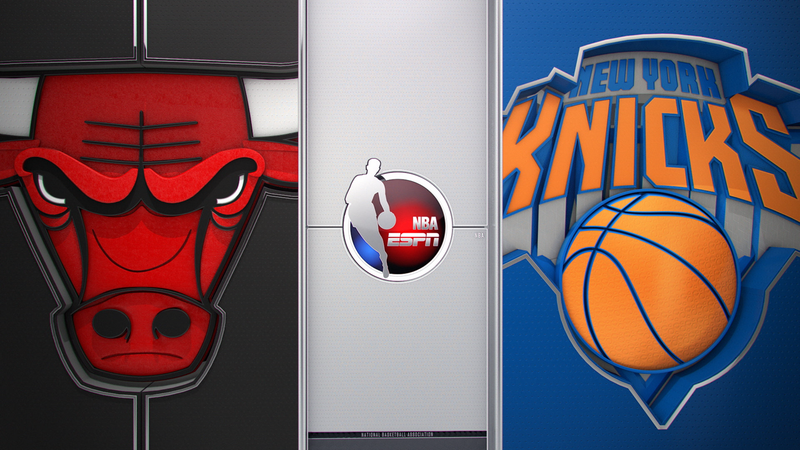 The NBA package continues the long-standing creative relationship between ESPN and Big Block, which most recently resulted in their stellar design of the larger-than-life graphics and animation package for ESPN’s Monday Night Football - leading to an Emmy® Award for Outstanding Graphic Design.